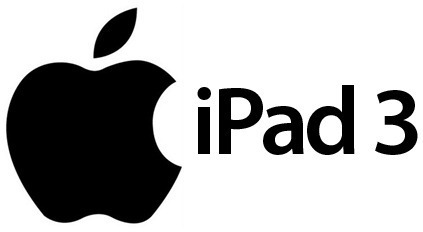 Its Monday and the buzz this morning is about the Apple iPad 3 going into production before the end of the year. This news is coming from Jeffrey Fidacaro, an analyst over at Susquehanna Financial Group. What is being said is that manufacturers have been ordered to start manufacturing one million iPads in the fourth quarter of the year. This news comes from many analysts trying to predict what the iPhone 4S means for the future of Apple as a company and where they stand fiscally for the company’s last two quarters, including this current one. Apple is set to announce the company’s results on October 18th. This is great news if this pans out. As I stated in an earlier post, hopefully the iPad 3 will pave the way for what we will see in the new iPhone 5. BGR is speculating that the announcement of the iPad Mini; a less expensive option, is right around the corner. BGR noted that the Mini would most likely not be smaller in size but will compete with the Kindle Fire offered by Amazon. With Steve Jobs working on one last major project before his death, I believe that we will see the upgraded hardware, that we all desire, soon. Here is to Apple continuing to provide some knock out devices, leaving other manufacturers to play catch up in 2012. Maybe we will see the likes of Google Android’s Ice Cream Sandwich ironing out the kinks and providing a better user experience and taking control of the multi-core processors that are currently flooding the market. Even with the upset of Apple’s iPhone 4S not changing much externally, they still managed to sell over 4 million units alone this weekend. That’s an amazing amount of devices pushed out in a very very short course of time.